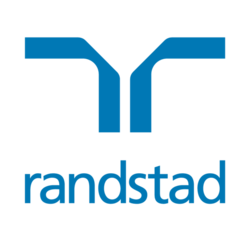 A key part of our strategy at Randstad is “tech and touch”, ensuring that experiences for our clients, candidates and our employees are positive and enabled through the use of technology. We want you to join our growing software development team to design and implement web software in collaboration with team mates and other stakeholders. You will bring insight and vision of web development and cloud technologies, in order to boost our transition to a cloud environment and deliver great user experiences to our customers and internal users. We’d like you to coach other developers and continuously help improve team productivity, code quality, tools and technology adoption. We value your innovation and welcome new ideas and technologies where they provide business advantage and technical benefit. Experience and passion in designing and implementing enterprise web solutions in a team environment. You’ll be a passionate team player who is proactive, self-motivated and has determination to succeed. You’re results oriented and not satisfied unless a high quality solution is achieved. You’re eager to invest in your own professional development and want to keep your technical toolkit up to date. Developing web applications that frequently consume enterprise data from our service bus architecture and other data sources as needed. Liaising with business stakeholders to understand requirements and advise accordingly from the technical perspective. Defining and implementing web design standards to promote a consistent and high quality user experience for our users. Evaluating feedback from internal stakeholders and our customers, and advising how to satisfy requirements and maximise the user experience. Advising on and implementing development process automation for code builds, tests and deployment to AWS. Assist with work planning requirements and provide input on estimation of task effort. Liaising with team mates to promote code quality and software design best practice. Balancing design principles and technology standards with product timelines and customer specific requirements. Minimum 5-6 years web development experience. Strong grasp of cloud software and SaaS. Strong understanding of all facets of front-end development, including providing high quality rich user experiences. Minimal guidance is expected to a produce professional front end. Strong understanding and experience in server-side technologies and architectures, with the ability to implement and maintain these where necessary. Technical languages and frameworks, such as: HTML5, CSS, Bootstrap, JQuery, AngularJS, C#, Java, NodeJS, ASP.NET MVC, WCF, REST, JSON, Service Bus, SQL. Strong understanding and experience in database technologies. SQL is a must and NoSQL will be regarded highly. Deep understanding of software scalability, performance and security. Solid understand of SOA and an appreciation of microservices. Experience implementing custom software implemented on a cloud hosted infrastructure, preferably Amazon Web Services (AWS) or Google Cloud. Strong experience with DVCS, such as TFS and Git. Strong experience with Windows OS. Unix/Linux a bonus. Solid understanding and experience with agile development methodologies. Solid understanding of continuous integration and deployment strategies. Ideally, you will have experience working in environment with automated build, test and deployment processes. Experience implementing these automations will be regarded highly, specifically: Bamboo, Jenkins, Bower, GruntJS. Experience with project management and documentation tools, such as: Jira, Confluence, Assembla.